It’s no secret that I frequent the Nate Berkus section at Target. I love his pieces’ aesthetics and find most of them fit my style, my office, and my apartment in general. Over the weekend I spotted this desktop organizer, and after Lizzy’s suggestion, I couldn’t resist using it to reorganize my makeup brushes. 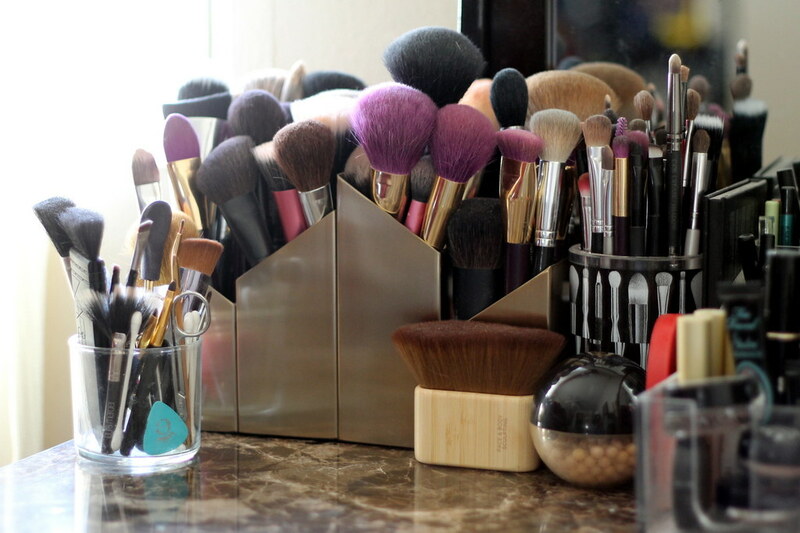 My vanity and makeup space is relatively small, so while all my brushes look a bit busy, they’re much more organized than they had been.